Khan Academy provides its users with micro-lectures in the form of YouTube videos, lots of practice exercises, and a personalized learning dashboard. Combined, these tools empower learners to study at their own pace inside and outside of the classroom. 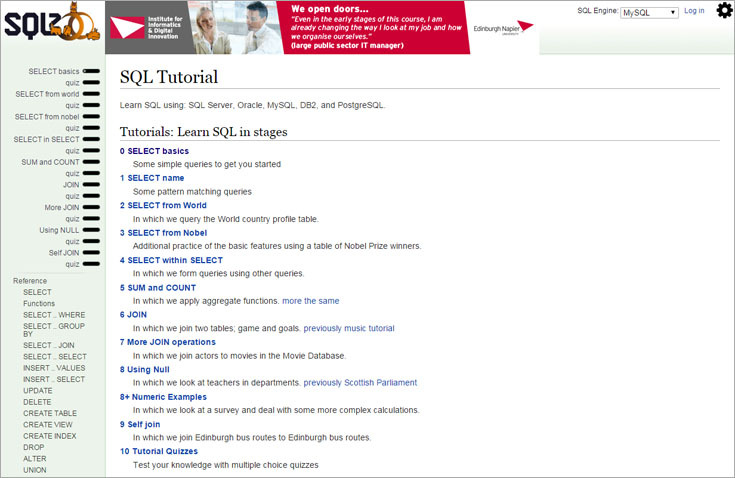 SQLZoo is a nice free and interactive SQL tutorial developed and maintained by Edinburgh Napier University. 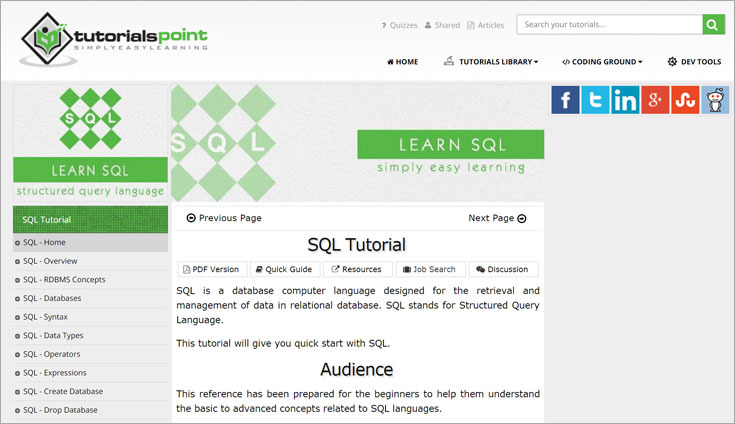 Tutorials Point claims to be the web’s largest library of tutorials. Indeed, it offers dozens of online courses in computer engineering, information technology, programming languages, and management. 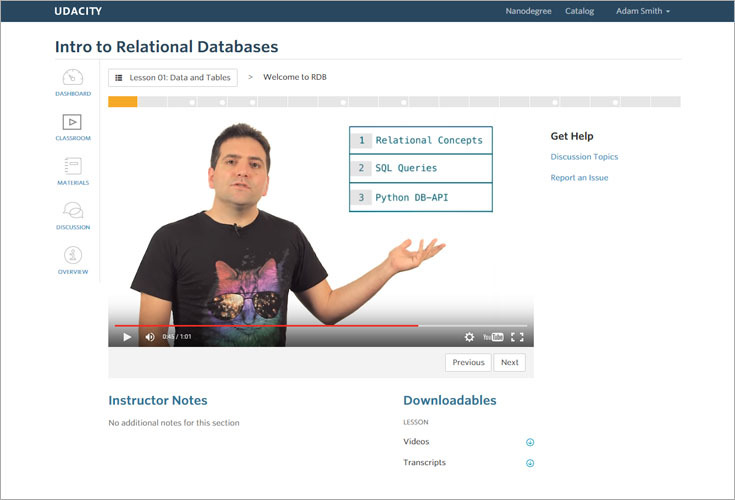 Udacity offers interactive online courses aimed at advancing academic and vocational skills. Although Udacity is profit-oriented, some courses are available for free. 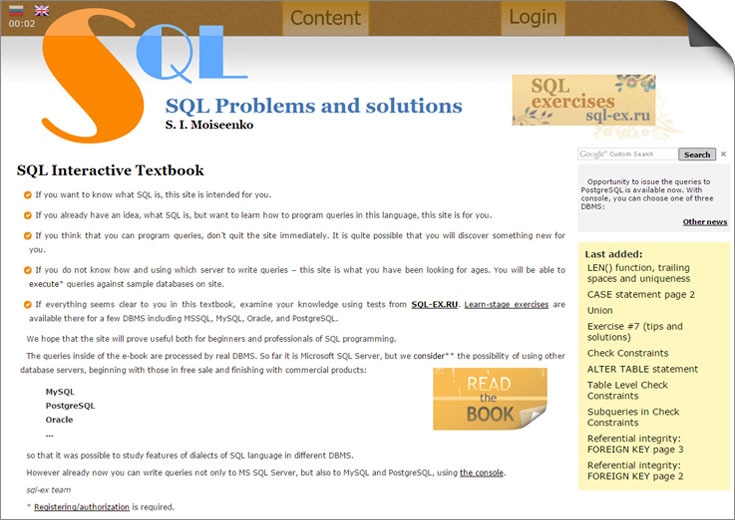 SQL Problems and Solutions is an interactive textbook which lets you visualize tables and execute queries against a sample database. 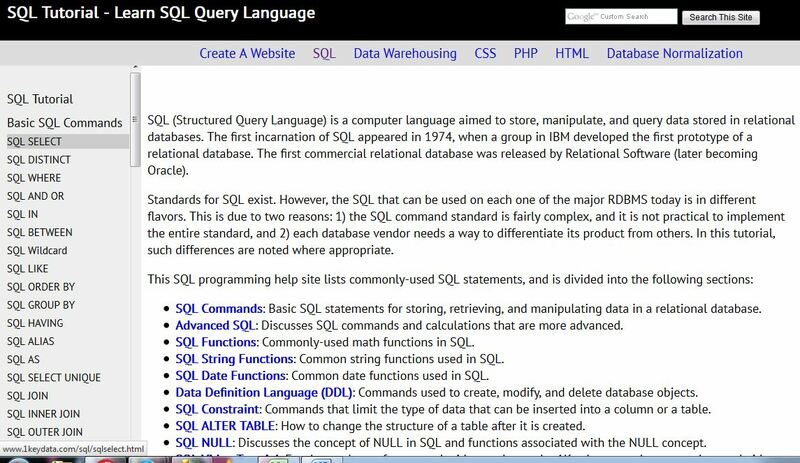 The tutorial explains the basic concepts and constructs of SQL and provides examples at various levels of expertise. Tuts+ offers video courses and written tutorials that teach a wide range of creative and technical skills, including coding. Unlike video courses, all tutorials and articles are completely free. Based around specific projects, they include step-by-step written instructions and screenshots to help you practice and master your skills. 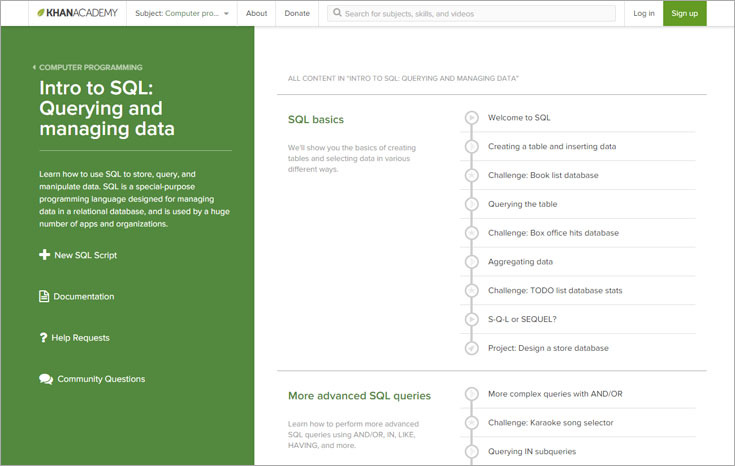 Essential SQL, authored by Kris Wenzel (@sqlkris), is a great place to learn the fundamentals of SQL and database concepts. 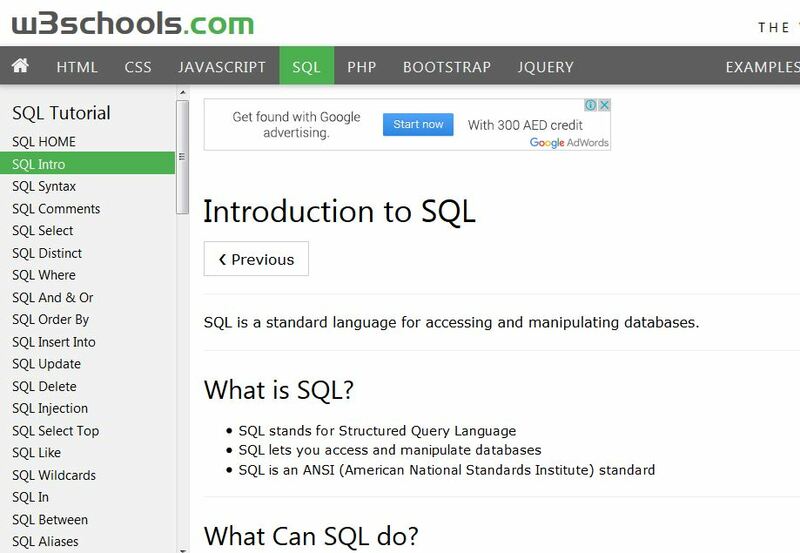 The course is based on Microsoft SQL Server, which is why the author provides newbie users with a guide on how to get started using this database engine. Bill Karwin has helped thousands of people write better SQL and build stronger relational databases. Now he’s sharing his collection of antipatterns—the most common errors he’s identified in those thousands of requests for help. Most developers aren’t SQL experts, and most of the SQL that gets used is inefficient, hard to maintain, and sometimes just plain wrong. This book shows you all the common mistakes, and then leads you through the best fixes. 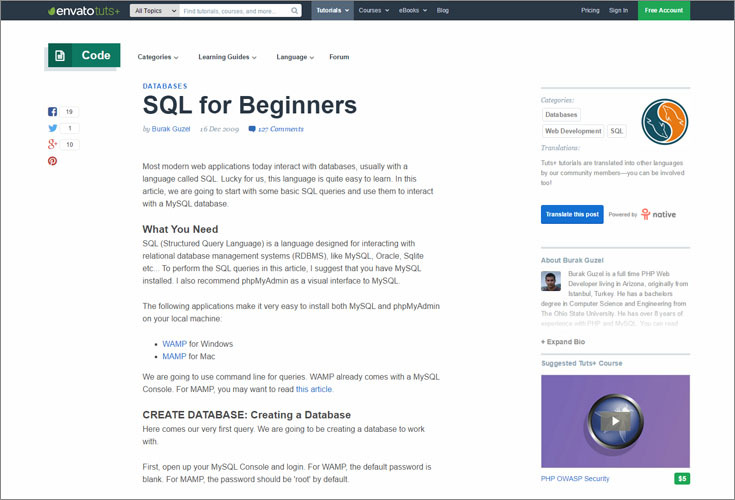 What’s more, it shows you what’s behind these fixes, so you’ll learn a lot about relational databases along the way. Each chapter in this book helps you identify, explain, and correct a unique and dangerous antipattern. The four parts of the book group the anti​patterns in terms of logical database design, physical database design, queries, and application development. The chances are good that your application's database layer already contains problems such as Index Shotgun, Keyless Entry, Fear of the Unknown, and Spaghetti Query. This book will help you and your team find them. Even better, it will also show you how to fix them, and how to avoid these and other problems in the future. 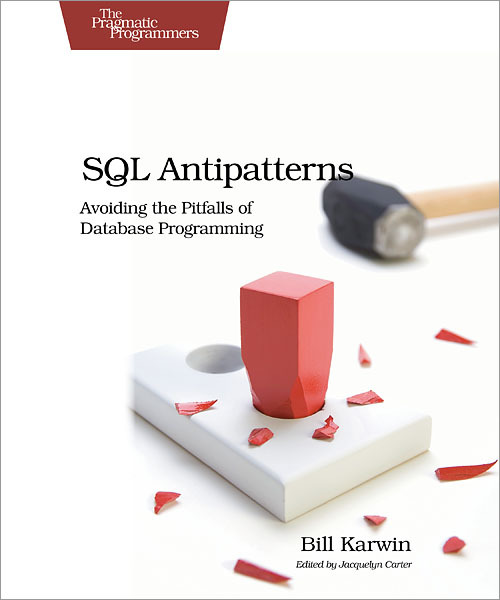 SQL Antipatterns gives you a rare glimpse into an SQL expert's playbook. Now you can stamp out these common database errors once and for all. Whatever platform or programming language you use, whether you're a junior programmer or a Ph.D., SQL Antipatterns will show you how to design and build databases, how to write better database queries, and how to integrate SQL programming with your application like an expert. You'll also learn the best and most current technology for full-text search, how to design code that is resistant to SQL injection attacks, and other techniques for success. Lessons from database research have been applied in academic fields ranging from bioinformatics to next-generation Internet architecture and in industrial uses including Web-based e-commerce and search engines. The core ideas in the field have become increasingly influential. This text provides both students and professionals with a grounding in database research and a technical context for understanding recent innovations in the field. 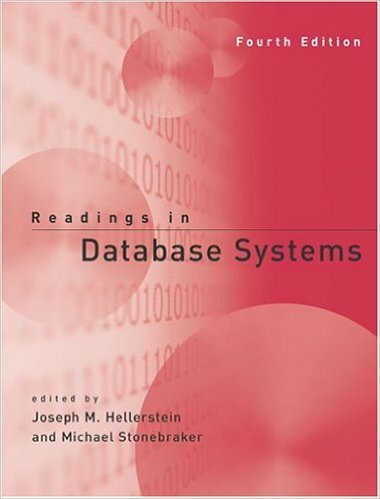 The readings included treat the most important issues in the database area -- the basic material for any DBMS professional.This fourth edition has been substantially updated and revised, with 21 of the 48 papers new to the edition, four of them published for the first time. Many of the sections have been newly organized, and each section includes a new or substantially revised introduction that discusses the context, motivation, and controversies in a particular area, placing it in the broader perspective of database research. Two introductory articles, never before published, provide an organized, current introduction to basic knowledge of the field; one discusses the history of data models and query languages and the other offers an architectural overview of a database system. The remaining articles range from the classical literature on database research to treatments of current hot topics, including a paper on search engine architecture and a paper on application servers, both written expressly for this edition. The result is a collection of papers that are seminal and also accessible to a reader who has a basic familiarity with database systems. Database Management Systems provides comprehensive and up-to-date coverage of the fundamentals of database systems. Coherent explanations and practical examples have made this one of the leading texts in the field. The third edition continues in this tradition, enhancing it with more practical material. lity in the way the course is taught. 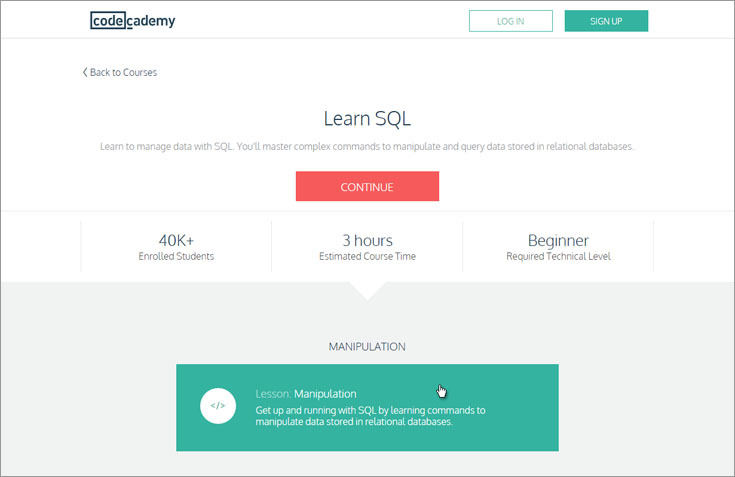 Now, instructors can easily choose whether they would like to teach a course which emphasizes database application development or a course that emphasizes database systems issues. New overview chapters at the beginning of parts make it possible to skip other chapters in the part if you don't want the detail. 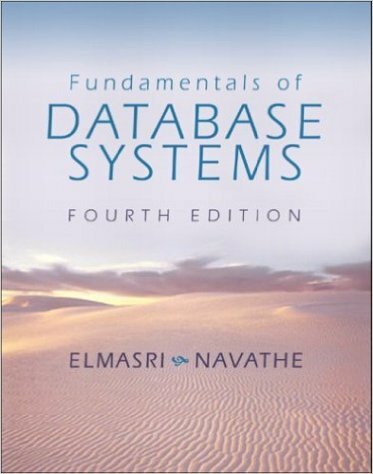 Fundamentals of Database Systems has become the world-wide leading textbook because it combines clear explanations of theory and design, broad coverage of models and real systems, and excellent examples with up-to-date introductions and modern database technologies. This book has been revised and updated to reflect the latest trends in technological and application development. 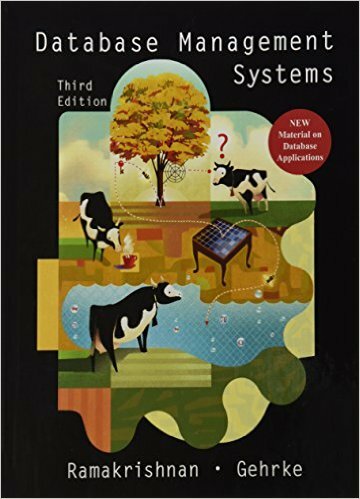 This fourth edition expands on many of the most popular database topics, including SQL, security, and data mining along with an introduction to UML modeling and an entirely new chapter on XML and Internet databases. The Seventh Edition continues to focus on the hallmark feature of its previous editions: providing a solid grounding in the foundations of database technology and shedding some light on how the field is likely to develop in the future. 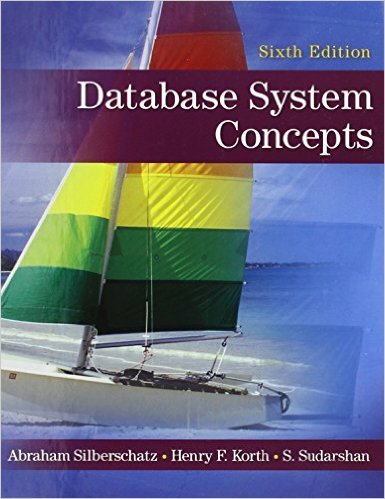 This comprehensive introduction to databases has been thoroughly revised to reflect the latest developments and advances in the field of database systems. 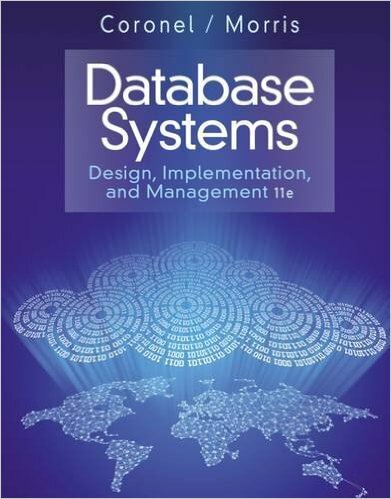 Emphasizing insight and understanding rather than formalism, Chris Date has divided the book into six parts: Basic Concepts, The Relational Model, Database Design, Transaction Management, Further Topics, and Object and Object/Relational Databases. Throughout the book, there are numerous worked examples and exercises for the reader--with selected answers--as well as an extensive set of annotated references. 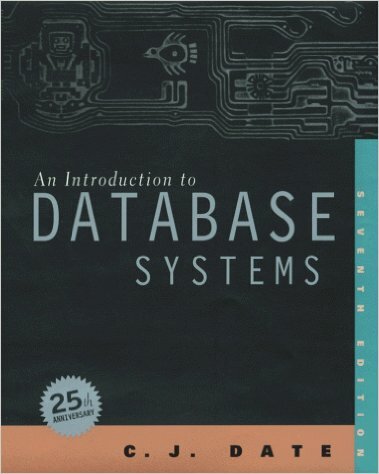 The release of this new edition of An Introduction to Database Systems coincides with the 25th Anniversary of its initial publication.